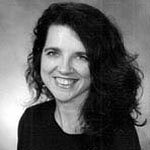 Amy Welborn is a prolific author and widely read blogger. She holds an MA in Church History from Vanderbilt University and has taught theology in Catholic high schools, and served as a parish Director of Religious Education. Her writings have appeared in many periodicals, including First Things, Commonweal,Writer's Digest, Liguorian, Catholic Digest and Catholic Parent. Her books include the Prove It series, The Loyola Kids' Book of Saints, The Loyola Kids' Book of Heroes, and Here. Now. 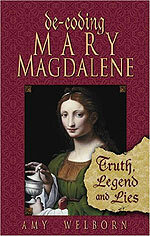 Two of her most recent books are De-Coding Da Vinci and De-Coding Mary Magdalene, both published by Our Sunday Visitor. IgnatiusInsight.com spoke to Welborn about her books addressing the claims of The Da Vinci Code, especially the many assertions made about Mary Magdalene. IgnatiusInsight.com: Are you surprised by the longevity of the Coded Craziness and, specifically, the various claims made about Mary Magdalene? Amy Welborn: I am a little surprised, although the recent frenzy is clearly all about the movie. If there were no film (impossible, of course), this business would have died out a year ago - when it did, indeed, quiet down a bit. However, the longevity of the claims about Mary Magdalene is the least suprising of all because they predate The Da Vinci Code. Brown picked up a thread in that regard, that was already present in the culture  groups like FutureChurch and Call to Action have been sponsoring celebrations on July 22, Mary Magdalene's feast day, for years now, celebrations that have at their core a call for the ordination of women. IgnatiusInsight.com: What was your initial impression of The Da Vinci Code when you first read it? Has that changed in any substantial way over the past three years? Welborn: My initial impression, expressed in a review of the novel I wrote for Our Sunday Visitor, was that it was idiotic and laughably badly written. No, that's not changed, although I do see it as more dangerous now than I did at first. 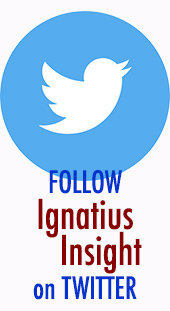 IgnatiusInsight.com: Fans of the novel keep saying, "Hey, it's just fiction?" How do you respond? Welborn: I say  they're right. It is fiction. 99.7% fiction. Leonardo existed. Paris exists, and the Louvre is there. That's all true. The rest is fiction. Seriously (although I do say that), I respond that Brown discussed his book early on as the fruit of "research" and declared he hoped readers would learn something. The book's style lends itself to ignorant readers thinking that they're reading legitimate scholarly opinion  there's a bibliography, the scholar characters refer to real books and speak authoritatively. To someone who doesn't know better, it might sound convincing. Further, there's something deeper. Even many of those who don't take things like the Priory of Sion or Leonardo's codes seriously, and even those who throw the "It's only a novel" statement in our faces, do in fact take certain aspects of the novel seriously: they do believe that the history of early Christianity is a murky mess, that there's nothing sure we can know about Jesus, and that Mary Magdalene has spent the last 2000 years being demonized by Christianity. My emails and internet discussion boards clearly show that at some level, a great many readers believe that The Da Vinci Code presents truth about what Christianity is and is not. Welborn: The rediscovery of gnostic writings that mention a "Mary" has fueled this, as well as a more general scholarly endeavor of re-examining female historical figures in religious history. The gnostic writings have really been key, as some scholars have used  and misused  them to posit an alternative strand of early Christianity ("Magdalene Christianity" it is often called) in which Mary Magdalene, who was clearly important in the Gospels, was a leader of an egalitarian element of early Christianity. There are all kinds of permutations of this, most recently in the quite bizarre Bruce Chilton book Mary Magdalene, in which the Episcopal priest-writer suggests that Mary was trained by Jesus in some sort of intense spiritual kind of "seeing" and her experience of what we call the "resurrection" was the ultimate fruit of that formation. IgnatiusInsight.com: Why is there such a strong interest in Mary Magdalene? Welborn: She's an interesting figure, and for many, she represents possibilities  the possibility that in early Christianity, women had official roles of power, that Jesus was married, and so on. It is unfortunate that these days, interest in Mary Magdalene is much higher among non-Christians and marginal Christians than among mainstream Catholics, especially considering the massive popularity of devotion to her throughout much of our history. IgnatiusInsight.com: The Da Vinci Code centers upon an alleged marriage between Mary Magdalene and Jesus. Is there any evidence for such a marriage? Welborn: No. There's no evidence in Scripture, and the Gospels are forthright about Jesus' familial connections. The Gospel writers name names and discuss Jesus' ambiguous relationship to his family members and his fellow townspeople. They name the apostles and other associates. They name Mary of Magdala, for heaven's sake. Who is, note, called Mary of Magdala, which she would not be if she were married to Jesus. There would have been no scandal in first-century Judaism of Jesus being married to anyone. There was nothing to hide. In addition, there is no mention of any such marriage in early Christian traditions - the traditions, for example, that give us the name of Mary's parents (Joachim and Anna). No, this Jesus-Mary Magdalene marriage is a twentieth-century creation. Interestingly enough, in the massive legendary material surrounding the figure of Mary Magdalene, a marriage is mentioned  one of the legends says that the Wedding at Cana was actually the marriage of Mary Magdalene and John the Apostle. John was so impressed with Jesus' miracle there that he abandoned everything and followed Jesus. This ticked Mary Magdalene off to such an extent that she went off and led a profligate life until she, too, saw the truth, and became a follower of Jesus. IgnatiusInsight.com: What is the biggest misconception you've found that people have about Mary Magdalene? Welborn: The biggest misconception, by far, is that the Catholic Church has demonized Mary Magdalene as a prostitute. This has taken hold among the general public and won't let go. The truth is this: in the first centuries of Christianity, some Church Fathers wondered, here and there, if the named Mary Magdalene might be the same person as Mary, the sister of Martha and Lazarus, as well as the repentant woman who comes to Jesus at the end of Luke 7, just before Mary Magdalene is first mentioned by name in Luke 8. In 591, Pope Gregory I preached a homily in which he explicitly associated all of these women, and identified Mary Magdalene as the sinful woman of Luke 7. From that point on, this was an important part of her identity for medieval Christians. Note, however, that neither Gregory nor any subsequent preacher or writer "demonized" or maligned Mary Magdalene. It was quite the opposite. She was held up as a model and figure of hope. Her story was told and expanded over and over again, with the focus not being sinfulness, but rather redemption. Throughout the Middle Ages, other aspects entered into the story, as well  her evangelizing in Provence, her supposed decades of contemplative life, and so on. She inspired numerous saints, she was present in art mostly as a faithful disciple at the foot of the cross, either mourning or supporting Mary, the Mother of Jesus, but she was never demonized. She's a saint! Her feast day is July 22! IgnatiusInsight.com: If you had five minutes with Dan Brown, what might you say or do? Welborn: Ask him for some money. Hey, why not? Maybe not for me, but perhaps for some of the thousands of institutions around the world  orphanages, schools, hospitals, old age homes, hospices - that are filled with people who've given their lives to sacrificially serving others in the direst of circumstances, inspired, called and nourished by the One whom Dan Brown continues to exploit, sitting up there in New Hampshire on his wads of cash. He should be ashamed. Perhaps, one day, he will be.